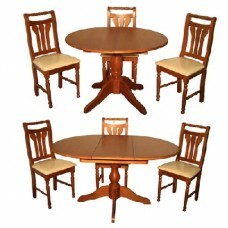 A superb high quality DiningTable made from solid pine. It extends easily and is ideal for a growing family living in a home which does not grow, or for those popular people who have 'unexpected' guests dropping in for dinner occasionally. Once again the quality shines through and this will grace your home for many years to come. All of the Clarendon range is finished in a mahogany satin stain and every piece of it looks fantastic. The Clarendon DiningTable is manufactured by our associated factory in South America. 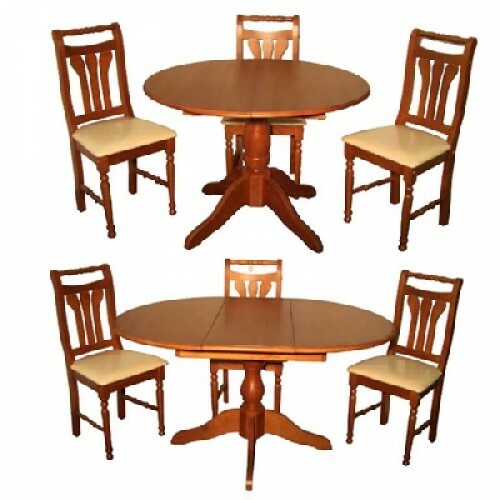 The DiningTable shown is representative of the actual item, as it is a natural product there may be variations in the shade or the cut of wood.